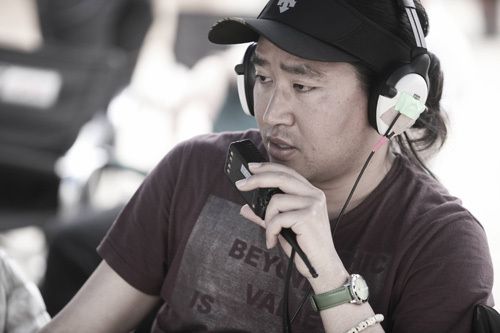 Director Kim Han-min made a reputation for himself as a filmmaker to watch with his directorial debut Paradise Murdered (극락도 살인사건) in 2006. While it didn’t break any records, the mystery/thriller film reached number one at the time of it’s release and displayed the potential of the up-and-coming director. Kim Han-min followed with another successful thriller Handphone (한드폰) which highlighted the notions of scandals and cover-ups that are seemingly inherent in the world of celebrity. However, it was Arrow The Ultimate Weapon/War of the Arrows (최종병기 활) that really launched Kim Han-min’s career, as the sleeper hit became the highest grossing film of 2011 in Korea and won numerous awards for the cast and crew. In addition, Arrow was also invited to several film festivals and help to cement the director’s status as someone capable of conveying action and suspense to an international standard. Kim Han-min’s follow up film, The Admiral: Roaring Currents (명량), smashed virtually every box office record that Korea has in existence – the fastest film to gain over 10 million viewers (12 days); the most viewers on an opening day (682,797); the biggest opening weekend ($25.94 million); and the first film to attract over 1 million viewers and 10 billion won in a single day. The film also went on to become the highest grossing Korean film at the US box office hauling over $2.5 million.